Borderlinx | Buy Bath and Body Works and ship worldwide with Borderlinx. Cheap rates guaranteed. Bath and Body Works is the place to shop when you just need to treat yourself. From candles to body lotion, Bath and Body Works is the expert in offering dreamy, luxurious scents packed into quality products. The retailer’s complete line of body care includes bath & shower gel, skincare and fragrance mists in fun scents, including citrus, floral, fruit and more. And its line of hand soaps add extra care by conditioning with soothing olive oil. Bath and Body Works provides a line of candles that not only smell incredible but are beautiful enough to add to your home as décor. Try the popular line of Fragrance Melts, a solid wax that melts to release scents under a stylish plug-in warmer. Bath and Body Works is also a great destination for gifts. The retailer offers a dynamic line of gift sets in popular scents such as Japanese Cherry Blossom, Warm Vanilla Sugar, Sweet Pea and more. Ready for a relaxing getaway from the comfort of your home? 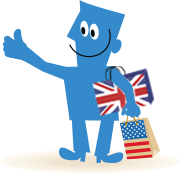 Buy Bath and Body Works in the USA and use Borderlinx for international shipping to your home. Use the Borderlinx Shipping Cost Calculator to estimate shipping fees and taxes & duties to your country. Borderlinx has all the tools you need to easily ship Bath and Body Works worldwide, including concierge, free repacking and package consolidation.